Growing your money over time can be difficult when you are juggling life’s commitments and living on a budget that never quite stretches as far as you would like it to. However growing your money over time is the key to building an independent income stream for retirement. 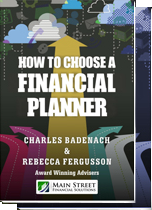 Choosing where you invest your nest egg is one of the most important decisions you can make, in an investment sense it is like choosing a husband or wife, get it wrong and it could be the difference between eating fillet steak or cocktail sausages in retirement. Asset Allocation – Consider your asset allocation and where your money is actually invested. Different investments have different levels of volatility and expected returns. Showing some age – it is generally recommended that you choose investments that have been around for a while, ideally at least 5-10 years. With a proven and established track record the risks are generally lower than an investment than an investment that has only just begun. Cost Effective – Whilst you need to pay a fee, it is important that you only pay a reasonable fee, remember though cheap does not necessarily mean better, you wouldn’t visit the cheapest heart surgeon and investing is no different. Research – most investments are researched by independent research houses so it worth spending some time looking into the investment and who is behind it . 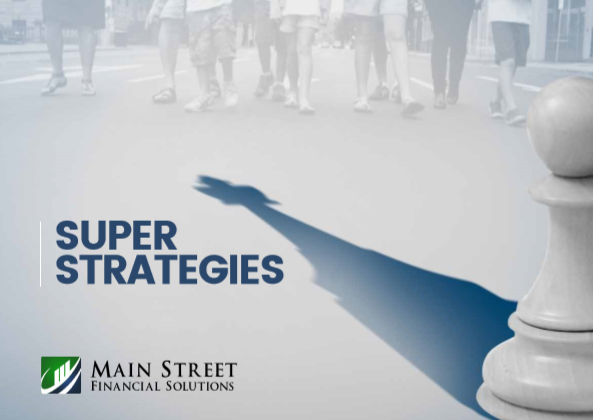 Goodluck and if you have any questions please don’t hesitate to contact the Main Street Financial Solutions team we would love to help you . A common question that many people ask is “How much do I need to retire on ?” and to be frank this is an impossible question to answer. Unfortunately there is no magical answer as to how much you need in retirement and some of the factors that you need to consider are – your life expectancy, your income needs and the investment return you expect to receive. There are lump sum figures or recommended savings rates (for example 12% of your salary) which are frequently highlighted in the media but don’t take too much notice of these. Everyone is different so this is a situation where you cannot simply apply a generic formula. The closer you are though to retirement the easier it is to make an estimate. There are many variables that impact on this equation such as legislative changes, inheritances, marriage, divorce, centrelink changes, children, or ill health so when discussing the amount that you need it is likely to change over time. A comfortable retirement lifestyle is generally defined as one that allows a retiree whilst healthy to be involved in a diverse range of interests and hobbies. In addition the retiree should have a level of discretionary income which allows them to purchase common household goods, a motor vehicle, clothing, holidays and electronic goods as and when required within reason. It is important to note that as we get older in retirement our income needs become less, we eat less, we travel less, we spend less on clothes and other consumer discretionary items. However this is a difficult concept to understand as many retirees continue to live carefully and accumulate money until their death. Whilst there is nothing wrong with this approach it is worth remembering that life is not a competition to win the “richest person in the cemetery award”. A person’s income in retirement needs to strike a balance between living for today but also retaining some for a rainy day. Determining an income in retirement is not a simple equation of saying we need $50,000 per annum in retirement to meet our needs as you will spend more in the first five years of retirement than you will in the second five years of retirement etc. Life is generally in reverse in that you don’t have any money when you need it for example in your early thirties when you have a young family, a mortgage, one income earner and large outgoing expenses such as electricity and , food etc. On the other hand in your 70’s and 80’s you are generally receiving more income than you need and it is not uncommon for an age pension couple to save money each year. These figures will obviously vary with each individual as their circumstances, needs and objectives are all different. The earlier you retire the greater the lump sum you need. As a very rough rule of thumb if you retire at 55 years of age you will need around 17 times your retirement income as a lump sum, at 60 it is 15 times and at 65 it is 13 times. When working out how much you need to live in retirement you should aim for around 60-70% of your pre retirement income. Believe it or not in most instances it is actually cheaper to retire. Many of the activities that you will enjoy in retirement are free such as walking along a beach, talking with friends or pursuing a hobby providing of course the hobby is not flying airplanes. Retirement is a very different concept today to what it was in the past. For example in 1900 the average worker retired at 65 and died 2 years later at 67. Today retirement can consist of 25-30% (or 25-35 years) of someone’s life and you should look forward to the golden years. But remember failing to plan is planning to fail. Goodluck.